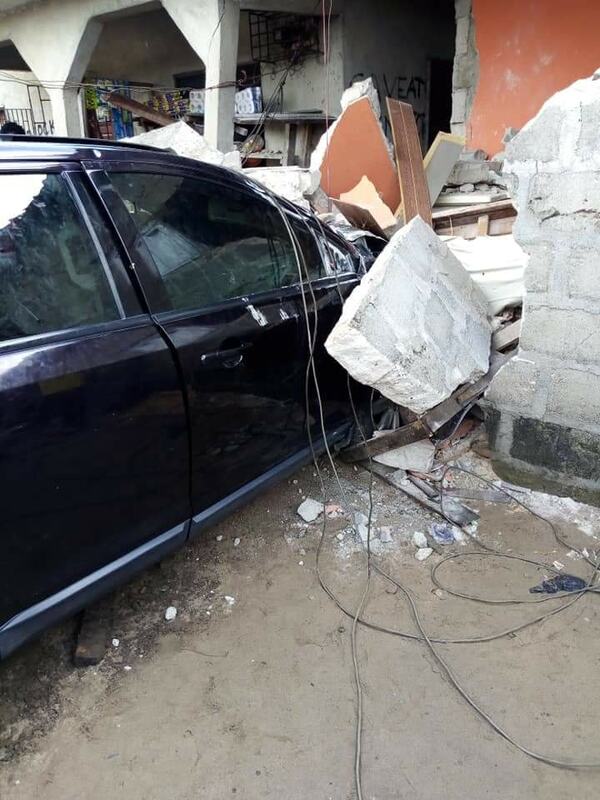 A serious tragedy was averted after a woman crashed her car into a building filled with people yesterday in Delta state. 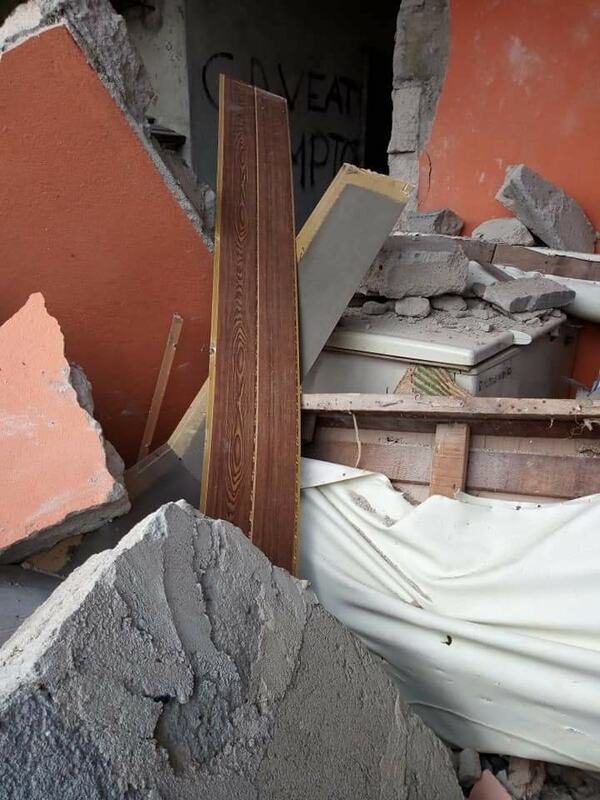 According to reports, the female driver lost control of her car and ran into the building and destroying the wall in the process. It was scooped that some residents and passersby who were present were lucky and narrowly escaped the accident as no on one was killed in the crash. 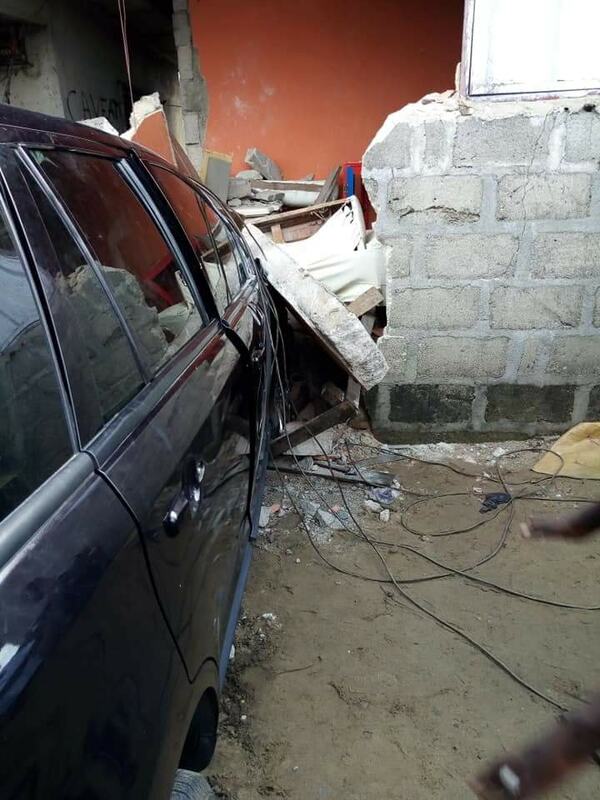 0 Response to "Woman Crashes Her Car Into A Residential Building After Losing Control (Photos)"